Tired of Words with Friends? Stale on Scrabble™? You know what they say – it’s the same board every time, only the player changes… until now! Mobile game developer Bertheussen is ecstatic to announce the release of their popular game Wordfeud for the iOS platform. The game, which already boasts over 2.6 million downloads from the Android Market, released into the Apple App Store for the iPhone, iPod Touch and iPad. Yes… you get tiles with letters on them that when placed together form words. Yes… you can play against those 2.6 million people on the 15 by 15 tile board and gain points for words created and placed. Yes… players can obtain higher points by placing words on the double letter, double word, triple letter and triple word tiles and yes… users have a choice to play against their friends or matched up against random opponents. 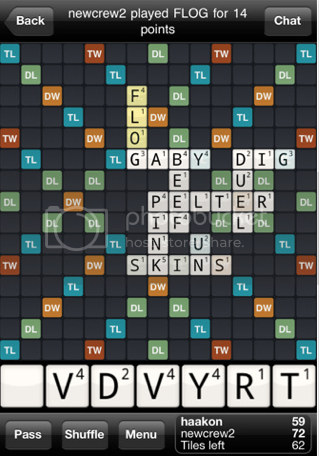 So how is Wordfeud different? In Wordfeud, when you get tired of the same old board each and every time, players can chose to use the ‘random board’ option where the traditional special tiles such as DL-double letter, TL- triple letter, etc are flung around the board at random, creating a new gaming experience every time! Players can participate in 30 simultaneous games and have the ability to chat with their opponents tying in custom avatars. Random board option to shift the DL, DW, TL and TW tiles. 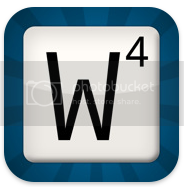 Wordfeud, developed by Bertheussen IT, is available as a free download in the Apple App Store and requires iOS 4.0 or later. For more information on Wordfeud, visit online at www.wordfeud.com. Bertheussen IT was established in 2002 as a consulting firm assisting on various software development projects. In 2010, due to increasing growth, the company shifted gears and opened a mobile app development department to focus on the Android and iOS platforms. Online at worfeud.com.